Sens. 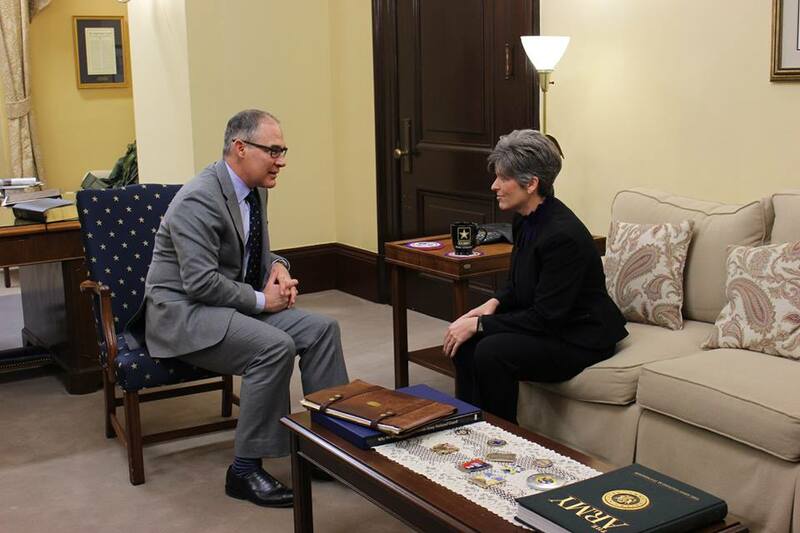 Grassley, Ernst and Fischer met on Oct. 17 with EPA Administrator Scott Pruitt to discuss the RFS. The U.S. Environmental Protection Agency (EPA) has made a proposal that, if implemented, would roll back the growth of homegrown biofuels. On Oct. 4, the EPA published a proposal in the Federal Register that could reduce 2018 and 2019 blending obligations under the Renewable Fuel Standard (RFS). This opened a fifteen-day comment period that ends Oct. 19. Under statute, the EPA is required to issue a final rule for 2018 RVOs by Nov. 30. Thirty-eight Senators sent a letter on Thursday, Oct. 5, to the EPA asking them to make sure the final 2018 rule sets blending targets that promote growth for the biofuels industry. “We urge you to continue to implement the RFS as intended by Congress and release a strong final rule that would give consumers more choices at the pump, strengthen our economy and make our country more secure,” noted the group of Senators. “These tactics are a back-door strategy by the oil industry to gut the Renewable Fuel Standard, and they mirror the efforts last spring by Carl Icahn to remove legal responsibility from oil refiners. They are misleading the EPA, and these proposals would stop in its tracks any progress biofuels have made for fuel prices, public health, the environment and national security over the last decade. Growth Energy, American Coalition for Ethanol, National Biodiesel Board and other industry organizations have spoken out against the EPA’s actions. Download a copy of the proposal, or notice of data availability (NODA), and directions to submit comments from the Federal Register website.